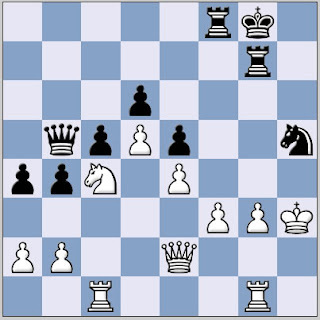 There's no doubt that 1 ... Kf7 is an inspired and beautiful move. Indeed, Kotov awards it two exclamation marks in "Train Like a Grandmaster ", but is it the best move in the position? What if White declines to play the queen winning fork, and instead plays something like 2 Qd2? Black is still considerably better, but the game is prolonged. The strongest moves in this position are in fact more straightforward options like 1 ... Rf6 or the more difficult to spot 1 ... Qe8 (see our previous post about pieces going backwards). What gives us the greatest pleasure, the aesthetically beautiful concept or the best practical move? Would Reti - Alekhine have claimed it's place in chess history if Alekhine had played the routine but strong ... Ra3 instead of ... Re3? I'll leave you to ponder this paradox between pleasure and perfection in chess, and to dream of the chance to play ... Kf7 or ... Re3! 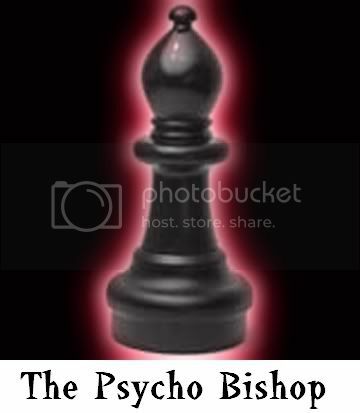 Although I like to think of myself as a logical/scientific person, chess allows me to give free reign to what little artistic side I have, so I enjoy seeing aesthetically pleasing moves, even if they aren't necessarily the best move or even strictly sound. Morphy's Rxf2 versus Bird springs to mind as another example. I think the chess world would be a poorer place if Morphy and others like him had played the 'technically' best move instead. But this is what attracts people to this game, calculated chaos and a test of the human psyche. and Morphy, Steinitz and others showed that the romantic era of chess paved the way for the technical one and the two compliment each other.